Goowoonmong, or ‘A Dream of Nine Clouds’, was a seventeenth century Korean novel set in ninth century China. Written by Kim Manjung, the story tells of a young man who travels through two lifetimes accompanied by eight beautiful maidens, while at it’s core it is a philosophical novel about Buddhism and Confucianism. This adapted production was written and directed by Kang Hae-Yun and retains similar concepts and ideas from the original literary work, but has revised these concepts to a new story set in contemporary Sydney. The play tells of an intriguing murder mystery that only gets more mysterious as time passes, while underneath it examines those same concepts of money and it’s power to separate people through betrayal. Two antique dealers enter the house of a Kim Dae Hee to examine a piano, only to be greeted by the family leaping to cover a large box with their bodies. The antique dealers, Gi Nam and Bo Su, are perplexed. They inquire as to why the family is shielding the box. The audience is then introduced to each of the characters and a little bit of the back story as each goes about revealing intricacies about their character and their role in the mystery. Kim Dae Hee is the father of the house who, along with his wife, has two sons- Daniel and David. Their son’s tutor is also present, and his girlfriend shortly joins him. Things become no clearer as the story progresses. It seems someone has been murdered, but exactly who has been murdered and why? And does anyone actually know what happened? An enigmatic woman dressed in deathly black soon visits the house. She is very volatile and is searching for her missing younger sister. But what is she even doing in the house? Why is she looking for her sister here? What has happened in the house? The story itself is already engaging, but the play goes one step further and reaches out to engage the audience within the story itself. 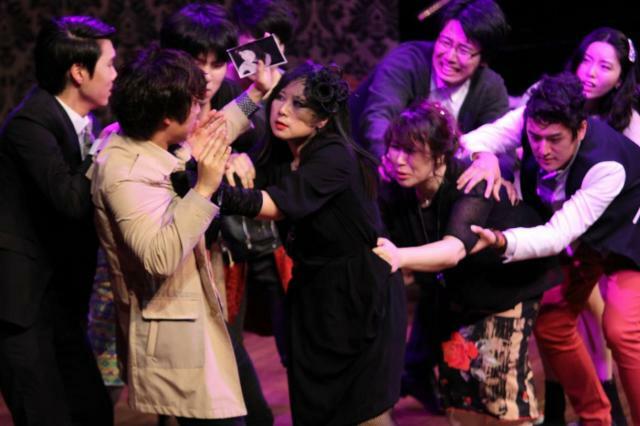 The actors call upon the audience to determine who the murderer is, asking them for assistance in finding their lost younger sibling and requesting id checks. The entire theatre becomes a stage, as the actors bound out to make their way through the audience members and up and down the stairs. The cast is perfect in their roles, genuinely taking on their characters and creating an immensely real atmosphere in the theatre. The dynamic and dialogue between Gi Nam and Bo Su is most amusing, with Gi Nam very much reminding me in voice and facial expression of the beloved detective ajusshis of a KDrama. As the story progresses, Gi Nam becomes more and more frustrated and unsure. He points accusing fingers at each character in turn. But each is still contradicting and unclear. In a final bid of determination, Gi Nam is able to push pass the human barricade in front of the box to look inside. Why is it empty? Why have we thought someone had been murdered? Who originally thought that it had happened? And why? Does anyone actually know why we all thought that there had been a murder? The stage fades out and the audience left with their thoughts. 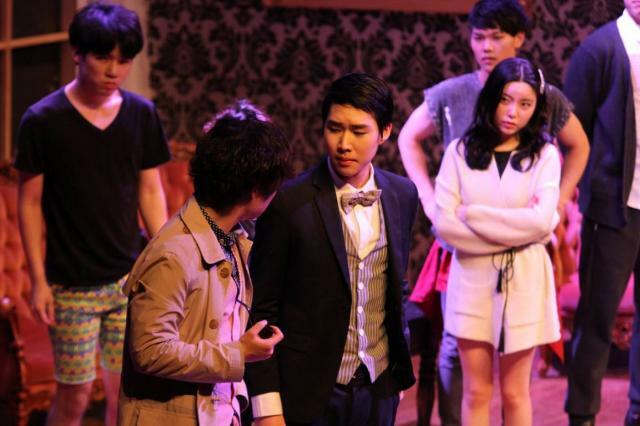 EU has produced an immensely captivating performance in Goowoonmong. The story is both unique and intriguing and the characters are very well acted. The mystery hanging around the stage keeps you thinking long after you’ve left the theatre, particularly that you’re probably going to want to see that again. 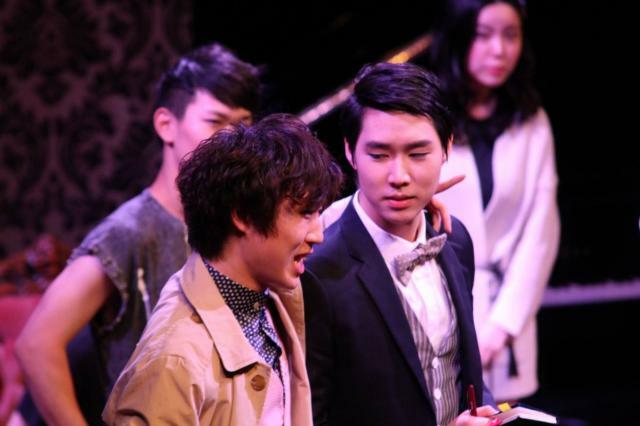 The reviewer attended the opening night performance on 9th October. 구운몽2 한다는 광고 봤는데 언제하나요? ?